Chief Master Sgt. 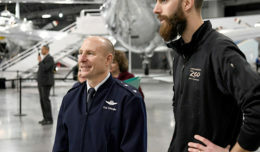 James Coleman, 412th Test Wing acting command chief, Airman 1st Class Cameron Hawthorne, 412th Aerospace Medicine Squadron, Staff Sgt. Akina Jones, 412th AMDS, and Brig. Gen. E. John Teichert, 412th TW commander, pose for a photo during a Strong Family Program event at the Mojave Sky Community Center at Edwards Air Force Base, Calif., March 18. 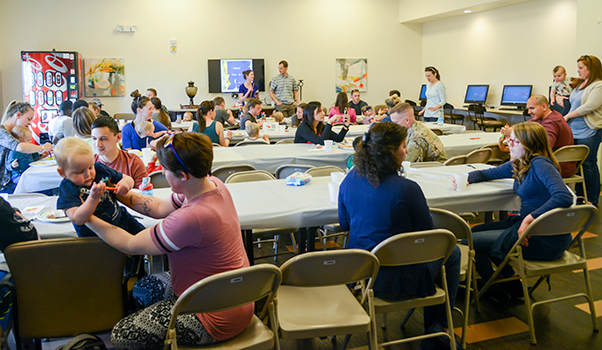 Airmen and their families enjoyed breakfast for dinner during a Strong Family Program event at the Mojave Sky Community Center at Edwards Air Force Base, Calif., March 18. 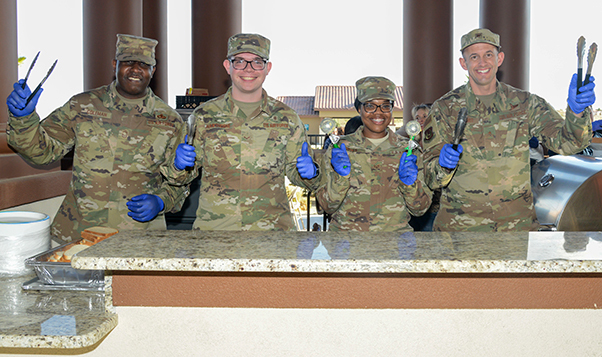 The Strong Family Program is a monthly, base-wide program with the goal of allowing community members to socialize with each other and give base leadership the opportunity to engage with residents, said Chaplain (Maj.) Jonathan Runnels, 412th TW deputy chaplain. Chief Master Sgt. 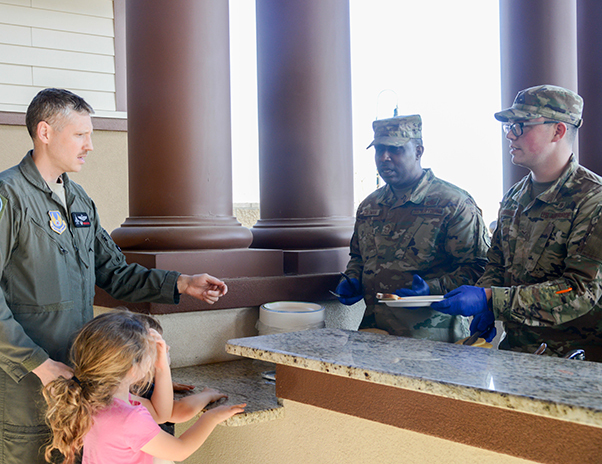 James Coleman, 412th Test Wing acting command chief, and Airman 1st Class Cameron Hawthorne, 412th Aerospace Medicine Squadron, serve food to Lt. Col. Tucker Hamilton, 461st Flight Test Squadron commander, and his children during a Strong Family Program event at the Mojave Sky Community Center at Edwards Air Force Base, Calif., March 18. 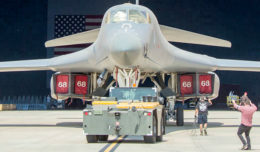 The dinner’s menu included breakfast items such as eggs, pancakes and bacon and was served by the 412th TW command team as well as two junior Airmen. The next SFP dinner is planned for April 17, 5-7 p.m., at the Mojave Sky Community Center. Airmen and their families eat pancakes, eggs and bacon and socialize during a Strong Family Program dinner event at the Mojave Sky Community Center at Edwards Air Force Base, Calif., March 18.